Imidogen (systematically named λ1-azane and hydridonitrogen), also called aminylene or nitrene, is and inorganic compound with the chemical formula NH (also written [NH]). Imidogen can be synthesized from an ammonia discharge; the resulting radicals are highly reactive and consequently short lived, but form an important part of radical chemistry. Imidogen is interesting in that it reacts differently depending on its spin multiplicity. Also, it has a triplet ground state. In sufficiently high concentrations, imidogen polymerizes to form triazidine that, without stabilizing substituents, is in itself only a metastable molecule. 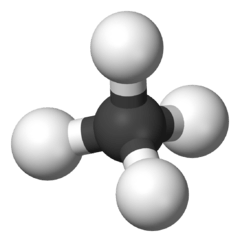 The trivial name nitrene is the preferred IUPAC name. The systematic names, λ1-azane and hydridonitrogen, valid IUPAC names, are constructed according to the substitutive and additive nomenclatures, respectively. In appropriate contexts, imidogen can be viewed as ammonia with two hydrogen atoms removed, and as such, azylidene may be used as a context-specific systematic name, according to substitutive nomenclature. By default, this name pays no regard to the radicality of the imidogen molecule. Although, in even more specific context, it can also name the non-radical state, whereas the diradical state is named azanediyl. Imidogen is constructed from the word 'imide' and the suffix '-gen', intended to mean 'generator of imide', referring to imidogen's propensity to from imides in reactions. The structure of imidogen is the simplistic, neutral form of the imide ion (HN2−). Imidogen has a hydrogen atom single-bonded to a nitrogen atom with a lone pair on the nitrogen. Imidogen is a radical molecule, which allows for high reactivity with other molecules. Imidogen can be produced from the discharge of ammonia. Imidogen has a large rotational splitting and a weak spin-spin interaction, therefore it will be less likely to undergo collision-induced Zeeman transitions. Ground state imidogen can be magnetically trapped using buffer gas loading from a molecular beam. The first excited state (a1Δ) has a long lifetime because there is a spin-forbidden transition between it and the electronic ground state (X3Σ−). Imidogen undergoes collision-induced intersystem crossing where the collisions cause a change in the spin multiplicity of the molecule. 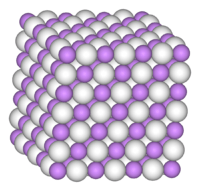 Imidogen is an isoelectronic molecule with carbene (CH2) and oxygen (O) atoms. Comparable reactions with CH2 and O are possible. Imidogen radicals are a good species to study the effects of electronic excitation because the ground state and first excited state can be detected by laser-induced fluorescence (LIF). LIF methods allow for detection of depletion, production, and chemical products of imidogen. A common reaction of Imidogen occurs with fulminic acid (HCNO). The reaction occurs via a N→C addition mechanism because there is a small energy barrier to overcome. The intermediate, HC(NH)NO, is in a triplet state causing a subsequent C-N cleavage giving the final products, HCNH and NO. Even though other products can be formed from this reaction, these are the most energetically favorable products for the reaction. Another common reaction is with nitric oxide (NO). The former reaction is more favorable with a ΔH0 of −408 ± 2 kJ/mol compared to a ΔH0 of −147 ± 2 kJ/mol for the latter reaction. 1 2 3 Campbell, W.C.; Tsikata, E.; van Buuren, L.; Lu, H.; Doyle, J.M. ; Phys. Rev. Lett. 2007, 98, 213001. 1 2 3 Hack, W.; Rathmann, K.; J. Phys. Chem. 1990, 94, 3636-3639. 1 2 Adams, J.S. ; Pasternack, L.; The Journal of Physical Chemistry 1991, 95, 2975-2982. ↑ Xin, Y.; Zhao, M.; Yin, Z.; J. Chem. Theory Comput. 2009, 5, 2021–2029. ↑ Patel-Misra, D.; Dagdigian, P.J. ; J. Phys. Chem. 1992, 96, 3232-3236.